TRULY MADLY DEEPLY-Fun and vibrant memories of Byra and Tyler tying the knot were made and captured at the Roberts Centre in Wilmington, Ohio. 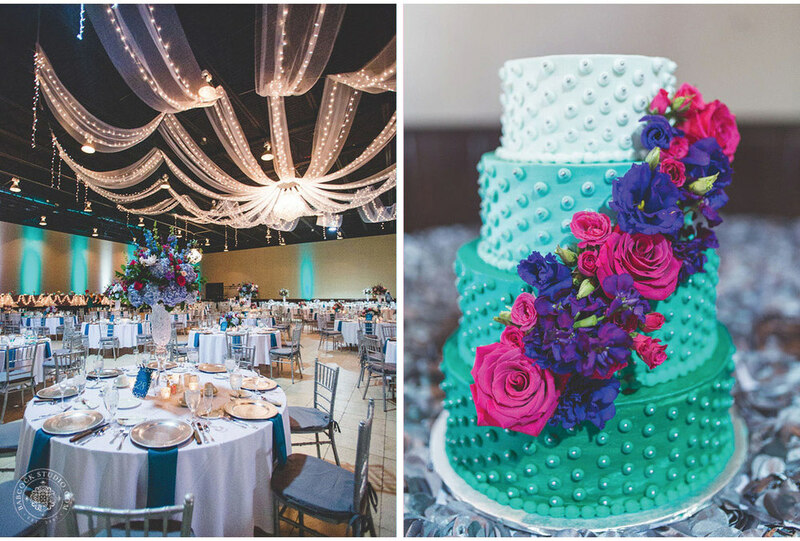 With a color palette of bright pink, purple and turquoise blue, this hotel wedding reflected all the great things a picture perfect spring wedding has to offer. The fun and bright colors of the day (which reminded me of a pair of LA Gear high-tops I had back in the day), was a bit unexpected but truly beautiful. Turquoise radiates peace and tranquility with uplifting energy. It is one of the most brilliant colors, heightening your sense of creativity. The only thing that makes this color even more amazing is its perfect partner, the color pink and its partner in crime purple. I am really in love this color combination! 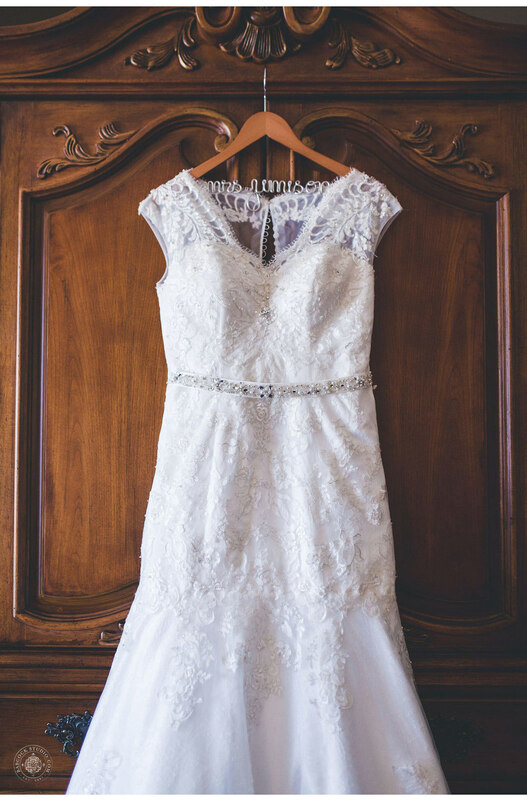 The bride’s classically stunning lace wedding dress from a small boutique, Georgia's Bridal, in Hillsboro was elegantly subtle allowing her bridal beauty to shine through out her special day. She looked absolutely stunning! Byra’s and Tyler’s BEST DAY EVER continued after the nuptials into the night with tons of yummy food, dancing and a photo booth with fun props. As photo booths are fast becoming modern wedding must-have this one was handmade by a wedding guests. They’re a great way to entertain family and friends during your reception and they definitely inspire spontaneity and fun. The best part about opting for a wedding photo booth is that everyone will go home with a fabulous keepsake, which will serve as a reminder of your special day. It’s no wonder many couples have chosen to include wedding photo booths in their festivities. Check out their Engagement Session at Longs Retreat Family Resort!